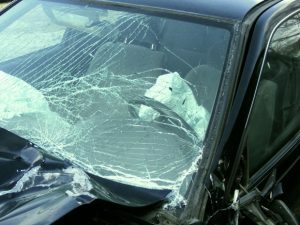 This happens because news organizations and even police do not want to blame a deceased driver, but they do not believe there will be much more follow-up or investigation into the matter as most times, this will be the only story ever published on the topic, unless there is a brief follow-up identifying the victim. In the case of a Boston single-vehicle car accident where the driver survives, it is easier to find out exactly what happened, assuming driver is able and willing to speak about the accident and gives a truthful account. As our Boston car accident lawyers can explain, however, just because a single vehicle was the only vehicle found at the scene, does not mean it was the only vehicle involved in the accident. And it doesn’t mean the injured or deceased victims were at fault in in causing the accident in every case. In some cases we are dealing with a hit-and-run driver situation. In these cases, the driver who may have caused the accident fled the scene. Obviously, we are dealing with a hit-and-run driver who fled in their vehicle, since if they left the scene on foot there would be a car remaining. While it may see unlikely a driver would try to run on foot while leaving their vehicle behind, this actually happens quite frequently. One of the main reasons a driver would flee the scene on foot is if they are intoxicated. Even if they know they could be easily identified by the vehicle, if they are no longer intoxicated when they are eventually apprehended and questioned, they might actually be able to beat a DUI. It should also be noted when a person is that intoxicated, they may not be thinking clearly, so logical thoughts and actions are not always involved. If they were, they would not likely have gotten behind the wheel while intoxicated in the first place. In a case where a hit-and-run driver fled in his or her vehicle, it can often be proven another driver was involved based upon the damage to the vehicle. Even if the vehicle ran off the road and hit a tree, there would likely be damage on the passenger side, or rear-end of plaitniff’s vehicle proving he or she was not the cause of the accident. One typical situation where there is not a hit-and-run driver, but another vehicle still caused the accident, involves a Boston car accident case where defendant was not paying attention and swerved into plaintiff’s lane of travel. This may have caused plaintiff to swerve or take other evasive action and lose control of the car. The other driver may not stop since they did not make physical contact and feel they are not responsible, or may simply be trying to avoid responsibility. The National Highway Traffic Safety Administration (NHTSA) keeps detailed statistics and while we can see the total number of traffic fatalities has been going down nationally, which is good news, we can also see there is an alarming increase in the number of traffic accidents in which at least one vehicle left the scene of the accident. In cases where defendant fled the scene, it is essential to speak with an experienced Boston car accident lawyer as soon as possible, so his or her private investigator can get to work and conduct a thorough investigation. It is important to start this as quickly as possible since it will require interviewing witnesses and reviewing security camera footage. While there are many traffic cameras and store security cameras these days that seem to capture everything, they will not keep the footage unless they are required to do so by being put on notice of a potential lawsuit. In some cases, it will not only be possible to prove there was another at-fault vehicle, but it will also be possible to identify the driver of this vehicle; a claim can then be brought against the proper insured driver. In other cases, it will not be possible to do that, but it will be possible to make a claim against your own insurance company in what is known as an uninsured driver claim. Since we know the accident was not plaintiff’s fault, but we do not know who the other driver was, they are treated as an uninsured motorist for the purposes of a car accident lawsuit in Massachusetts. According to the Massachusetts Sate Police (MSP), the driver of a 2004 Lincoln LS was found at the scene of a single-vehicle accident in Haverhill, Massachusetts just outside of Boston. It is believed she was driving her vehicle when she lost control and drove off the roadway. As the vehicle lost control, there was a rollover causing serious personal injuries to the driver. When first responders got to the site of the crash, they were able to extract her from the vehicle and rushed her to a level one shock trauma hospital located in the Greater Boston area. Unfortunately, there was nothing doctors there could do for her and she soon died from her injuries. State police have said they are not yet sure why she lost control and will continue to investigate the cause of this fatal car crash. In such cases, surviving passengers would also have a valid injury claim.